Mother's Day is this weekend! 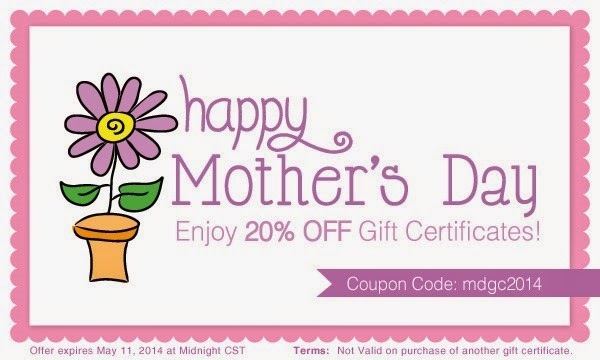 To celebrate mothers, grandmothers, guardians, and Godmoms everywhere, we're giving 20% OFF all gift certificates! Just plug in the coupon code mdgc2014 before checkout.